The All Progressives Congress, APC, has reacted to the apology tendered by the main opposition Peoples Democratic Party, PDP, yesterday for failing Nigerians for 16 years. The PDP, through its National Chairman, Prince Uche Secondus, had apologised to Nigerians for failing them. 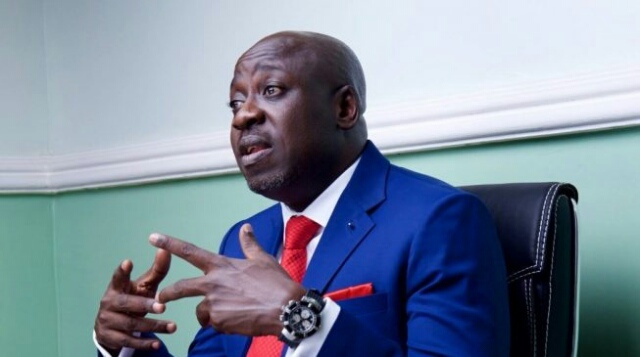 Reacting to this, the APC, through its National Publicity Secretary, Bolaji Abdullahi, said the PDP had not truly repented but was only deceiving Nigerians. The APC also expressed happiness that PDP had admitted putting the country in a mess, advising them to stay out of power for a long time in order to prove to Nigerians that they had truly repented from their sins. Abdullahi said in a statement, “Our response to this (apology) is that since PDP has realised and accepted that they are sinners and that their crimes of the years brought Nigeria to this sordid state we found ourselves today, we are glad with the admittance. “It is good that they have finally accepted but now that they are willing to atone for their sins, they must have to spend sufficient time in the trajectory to show that they are truly repentant. “Again, they have to wait for Nigerians to forgive them before they can even begin to dream of coming back to power. “All these desperate campaign from PDP did not show that they have truly repented. If they really want Nigerians to forgive them, they have to be remorseful and demonstrate that they are sober. “They have to show that remorse by staying away from power because as it is now, we cannot even trust them with power since they have not shown much sincerity.